Two of the greatest challenges when growing your weed is combating the fluctuating temperatures and controlling the humidity in your grow room. Cannabis is a very finicky plant. If the conditions aren’t right, then you will not get the results you desire. That’s why getting an air conditioner may be essential for your grow room to operate at its best. 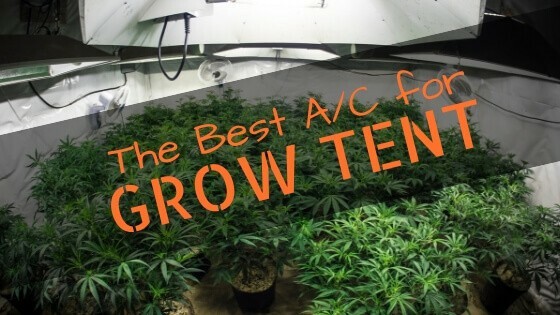 Let’s take a look at the best AC for grow tent choices out there. Keep reading or jump straight to the reviews! Many factors come into play when it comes to creating the perfect climate inside of your grow tent. For one, the actual climate of the city and state that you live in has a major impact on all of the living organisms in that area of land. You have to alter the environment your plants are growing in to meet the actual environment you are all living in together. What is the Perfect Grow Tent Temp? Cannabis is like the Goldilocks of plant growth. They don’t like extremely hot temperatures. However, these plants don’t like low temps either. Therefore, you don't want to go below 60 Degrees F and above 80 to 85 Degrees F.
Pretty much, go with your gut. If it feels like it might be too hot or too cold for the plants, then it probably is. Pay attention to how you feel in the room and keep an eye on the plants. Two major events happen when you are growing cannabis. First, cannabis is in the vegetative state. This is where the seeds germinate in the soil and start to produce the buds. Then there’s the flowering state, which is when the plant blossoms. During these periods, cannabis plants need different types of care, including temperature. When cannabis plants are still in the vegetative state, they prefer temperatures to be a bit warmer, between 70 degrees and 85 degrees F.
During the flowering stage, they can withstand (and prefer) a bit colder from 65 degrees to 85 degrees F.
To mimic nature, there should be a 10 degree F difference in your grow room between night and day. This is especially important when you are in the flowering stage. Getting the greatest yield depends on this temperature discrepancy. Signs of humidity in your grow tent are a good thing. That means your plants are breathing and growing. Plants give off carbon dioxide. Carbon dioxide raises the temperature in the air. In turn, it causes the plants to let more water vapor into the air. Higher temperatures also facilitate more humidity growth. That’s because heat causes water to move through the air at a faster pace. Therefore, the water vapor covers more area, spawning higher humidity levels. Ultimately, you don’t want to go over 70% humidity levels inside of your grow tent. Even though humidity is a good thing, too much of a good thing can turn bad. Extra moisture in the air may lead to rot or mold. What makes this situation even worse is that you might not notice these issues until you begin harvesting your bud. As white mold grows on your leaves, it prevents the greens from taking in water or nutrients from your grow solutions. Instead, the white mold zaps all the leaves nutrients and will ruin your yield. With that being said, you also want to make sure that the humidity level doesn’t go below 40%. If this happens, your plant will grow stagnant. The stomata, which is in charge of gulping up nutrients, will close up when low levels of humidity are reached. Also, when water vapor in the air is not plentiful, the plant will turn to its roots. As the roots get depleted, the cannabis plant will lose all of its nutrition, rendering the yield completely useless. Therefore, you need to find ways to control both the heat and temperature of your grow tent. Lights are very important in growing cannabis indoors. However, they generate a lot of heat. 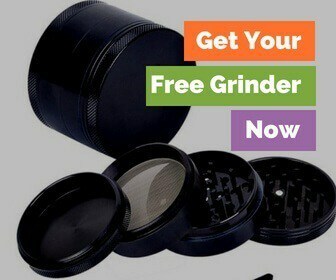 This can be disastrous for your bud. Therefore, you need to find a way to guide that heat out of your grow tent. One way to do that is to attach ducting from your light to a window. Make sure that the duct is in a straight line for the best air circulation. Attached to the duct is a fan. This fan will draw out the hot air that is rising from the grow lights and away from the plants to the outdoors. Instead of opting for a duct system, you can also get an air conditioner for your grow tent. 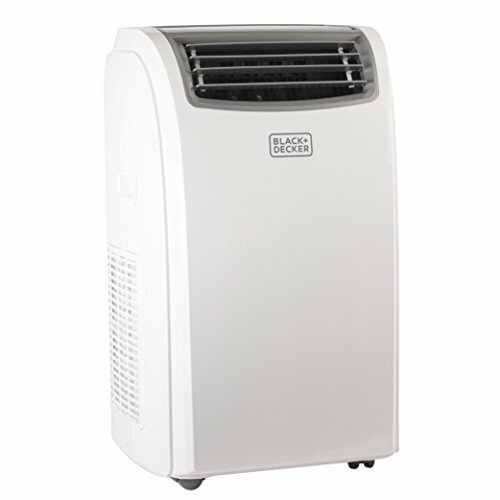 A portable air conditioner is great because you can move it around the room as needed. While an air conditioner is convenient, it might deplete the air of carbon dioxide. Therefore if you are going to pick the best AC for grow tent, make sure you also supplement your plants with carbon dioxide. Air conditioners are not known for allowing the best air circulation in your grow tent. So, be sure that there is an exhaust system on your air conditioner unit. 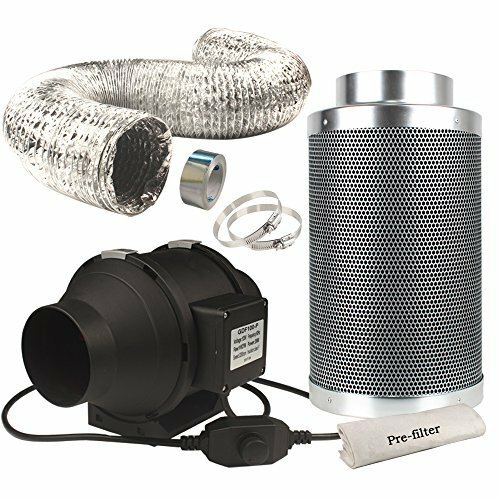 Now that you know about hot air ducting systems and portable air conditioners for your cannabis plants let’s help you decide the best AC for grow tent in your home! What stands out about the Casolly 6-Inch Inline Fan Carbon Filter Combo is the combo factor. The carbon filter goes a long way in destroying mold, bacteria, and fungi in the air. Not to mention, it will also help control the strong smells that come from cannabis plants. While the carbon filters will last a long time, about a year and a half tops, you still have to clean them. They are very easy to clean and resilient, so you don't have to worry about replacing before they outlive their usefulness. This Casolly is quiet compared to some other grow tent fans out there. In fact, in a strange turn of events, the Casolly gets quieter as you turn the mechanism to a high speed. The product is extremely pliable, which is ideal when you have to work around your growing plants. The duct itself is made out of high-quality aluminum, so you never have to worry about corrosion. These are big concerns when growing plants indoors because water vapors can do a number on metals. While the duct won’t succumb to the environment, it is still pliable enough that you can cut through it so that the duct meets the needs of your grow room. As far as the inline, it’s not too heavy. You can rest it on the bars of the grow tent without worrying about it tumbling down to the ground. The future is here with this best AC for grow tent, the AC Infinity CLOUDLINE T6. The CLOUDLINE T6 has customization down to a science. 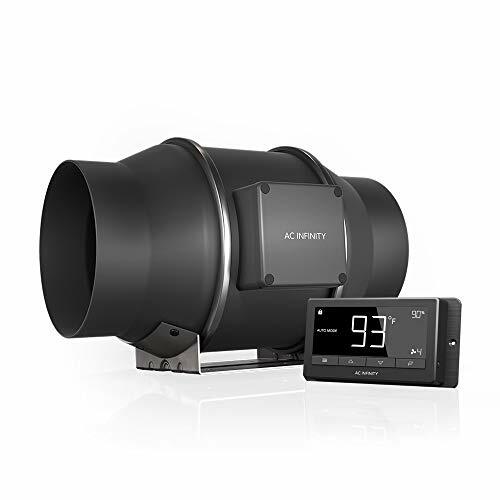 With its Intelligent Controller, the AC Infinity CLOUDLINE will monitor the active temperature for you. As the temperatures in your grow tent vary, the CLOUDLINE will automatically adjust the fan speeds to compensate for the changes. What’s even better is that the controller can be set to run on a continuous loop of customizable speeds. Therefore, you never have to think about anything. However, that doesn’t mean you can ignore your plants. Going along with a system doing all the work allows you the opportunity to monitor your plants even closer. Be sure to adjust your programmed routine at any sign of change in your plant’s health. Also, the cord between the temp controller and the fan sensor is eight feet long. This makes choosing where to place these items even easier. On top of that great feature, this fan is quite compact. Being of such small stature makes it easy to place the CLOUDLINE T6 inside of a grow room, as well as move it about without much issue. The blower can actually tuck in between the floor joists for steady keeping. There’s a stark difference in how quiet this fan is in comparison to the Cassoly. While the first few settings, it gets increasingly louder the faster it goes. The noise output by the fan can be very bothersome on the top two settings. This is a 3-in-1 system that might address all of your grow room needs. 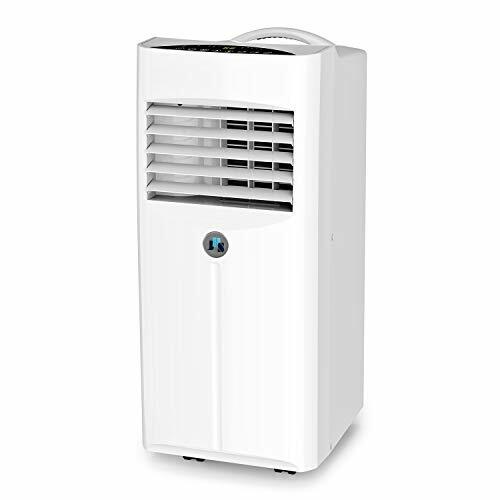 That’s because you can use the JHS Powerful Portable Air Conditioner as an air conditioner, fan, or dehumidifier. When you are using the dehumidifier, be sure to hook up the unit to drain into a separate container because the tray they supply will not suffice! There are three fan spans engineered to break up the stagnant air in a hot and humid environment. A great perk that the JHS has that other systems don’t is a sleep mode setting. You can program your remote control for up to 24 hours. If you lose the remote, no worries. The LED screen on the system is very easy-to-use and has clear writing you can see from across the room. Therefore, you can poke your head in through the doorway and check on the temperatures with ease. While this is not as loud of a unit as the AC Infinity, it still doesn’t hold a candle in noise cancellation like the Casolly. LG is a very reputable name when it comes to electronics. However, it’s probably not the best AC for grow tent. 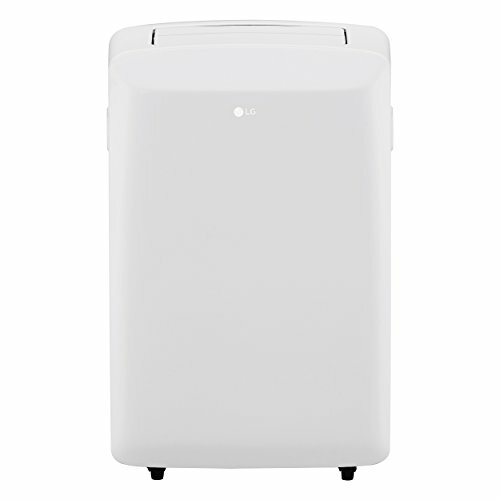 The LH 115V Portable Air Conditioner is not the strongest on the list. It’s ideal for smaller grow tents that house fewer plants. The LG is also not the easiest to install. While the directions will tell you to attach the vent hose to the part that slides into the window panel near the beginning, do this part last. After you connect and reposition, the hose will become completely disconnected from the device. Regarding loudness, this one takes the cake. It’s even louder than most window units. While this is intended for smaller rooms, it’s still a pretty big unit for the little area it covers. One huge positive is that when the AC hits temp, it doesn’t just kick off. The fan keeps running without decreasing the temperature in the room. That means the sounds are consistent and there aren’t abrasive noises signifying the unit powering down. What makes this Black + Decker stand out is the fact that it’s not only an air conditioner, but it’s a heater as well. This is perfect for those who are growing cannabis in a state or country that is prone to colder weather. If you are looking for a compact system that takes up little room, this little guy packs a heck of a punch. This Black + Decker product cools the room down fast. So, if your plants are in dire need of some cold, then this will get to work saving your plants ASAP. One of the downsides to this particular setup is the sliding window panels. When connecting with the hose, the pieces tend to bend and look like they might break if manipulated the wrong way. Also, the weather strips that come with the product are flimsy. Expect to replace those at some point. Also, the bright blue LED lights on the display will illuminate a whole room. So, while this might be the best AC for grow tent, I wouldn’t want to use this in a room I sleep in whenever I’m not using this AC to grow bud.